Most Oracle IT asset management programs we’ve observed revolve around counting cores and processors to determine if the number of licenses in use is in line with your license grant. Some companies rely on their DB administrators to understand what is in use. Other have invested in software tools that will help them count usage for database and options. If this sounds like how your company does software asset management for Oracle then you should be worried. You are playing checkers and Oracle is playing chess. You might be the greatest checker player in the world, but that’s not the game Oracle is playing. Oracle plays chess. Oracle is looking at the entire board, all the pieces (Siebel, Peoplesoft, BEA, Hyperion, etc), and the long term goal of capturing the king (aka, your money). Check mate. You sign and give Oracle more money. We see this over and over and over. You never know where the Oracle license gotcha is going to come. 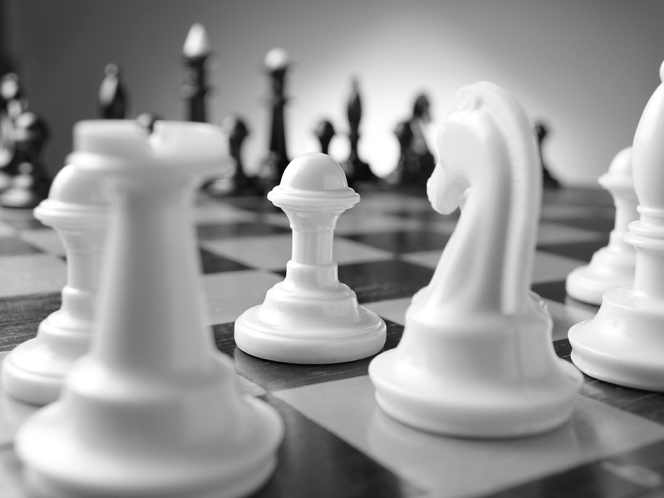 At Palisade Compliance we take a very different approach to Oracle license management. 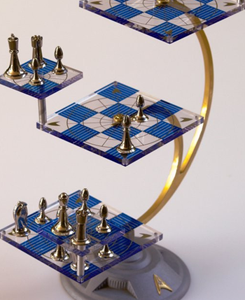 Not only do we play chess, but we play that three dimensional Star Trek chess. (original series of course!). What do I mean by this? Well, what I mean is that we are looking at the end game. What are your goals as a company? Where is your business going? Then it’s up to us to work together and build and execute on a strategy to get there. Sometimes that means measuring usage, sometimes it does not. It really depends on the circumstances at hand. For us it’s not about counting cores. It’s about helping you achieve your corporate goals and protect your Oracle assets. More immediately, it’s about shifting the balance of power and putting you back in control of the Oracle relationship. 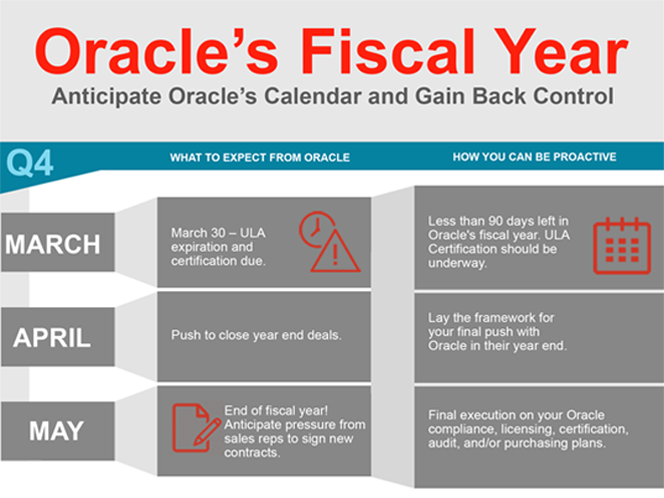 Ready to Start Saving on Oracle? Contact Us Now! I agree that Palisade Compliance may send me quarterly newsletter and emails on events that may be relevant to my interests. I understand that I can unsubscribe at any time. This opt-in is not required to receive the content requested through this form. Craig is the CEO and founder of Palisade Compliance. Founded in 2011, Palisade is the leading independent provider of Oracle contract advisory services. Before Palisade, Craig worked at Oracle for 16 years where he was Oracle’s Global Vice President of Contracts, Business Practices, and Migrations. Craig was also the Global Process Owner for Oracle’s audit teams (LMS), a member of Oracle’s CIO advisory board, and on the Oracle User Group’s contract and licensing advisory board. Craig is now the premier expert on Oracle licensing quoted in dozens of publications and assisting with many high-profile Oracle disputes (e.g., Mars, Oregon). Palisade Compliance is the leading independent provider of Oracle software and cloud licensing, contracting, cost reduction, and compliance advisory services. Our newsletter contains Oracle trends, expectations for the quarter, third-party news, and new collateral we’d like to share with you. Oracle is a registered trademark of Oracle and/or its affiliates. Palisade Compliance is an independent firm and not associated with Oracle. Palisade Compliance is not a law firm and does not provide legal advice. The terms Palisade Compliance, Audit Intervention, Compliance Assurance and ULA Optimization are marks of Palisade Compliance, LLC. All other trademarks are the property of their owners. Anna-Rita has spent the last 14+ years within the Oracle ecosystem with a large part of the time as Director of Asia Pacific and Japan Business Practices, Licensing, Migration and Pricing. She worked not only with Oracle’s customers and Partners, but also with Oracle License Sales teams, thus providing her with a unique insight into Oracle Licensing from both sides of the table. At Palisade, Anna-Rita’s focus is providing compliance, advisory and licensing assistance to Palisade clients, by using her in-depth knowledge of Oracle’s business practices, deal negotiations, pricing and policy structures as well as license management services. Anna-Rita has assisted hundreds of customers to achieve large cost savings and her passion is to help organisations take back control of their Oracle relationship. At Oracle LMS, Adi served as a key member of the North America management team, leading audits of Oracle customers nationwide. He also developed innovative training programs for Oracle’s auditors. At Palisade, Adi leads some of our largest Client engagements in ULA Certification, Audit Intervention. Also, leads training and knowledge management efforts globally. Expertise: Database, negotiation support, C-level advisory. At Oracle, Luis was the Technical Global Program Manager for North America designing data collection scripts and related audit strategies; analyzing data collected during audits; and advising Oracle leadership on audit strategy and approach. At Palisade, Luis leads analysis efforts across Oracle, Palisade and third-party data provided by Clients. He works with the Advisory team to identify compliance issues and savings opportunities for Clients. Luis is also responsible for our monitoring efforts of Oracle data collection tools and processes. Expertise: Analysis of Oracle application software (EBS, PeopleSoft, Agile PLM, JDE, etc) and assessing quality/accuracy of Oracle script output. At Oracle, Allison held multiple approval and negotiation positions, culminating in global responsibility for establishing and managing Oracle’s business practices, policies and processes for its multi-billion-dollar support services line of business. At Palisade, Allison leads our contracts practice, helping Clients negotiate terms and support cost/risk containment across large and small Oracle estates. Expertise: Support policies and cost reduction, negotiation of licensing contract terms, identifying contract risk and opportunities in Oracle agreements. Fredrik joins Palisade with 9 years of experience at Oracle EMEA where he led sales teams and negotiated audits and large license deals. In 2015, Fredrik switched sides and spent 3 years at Insight where he built the global Oracle Consulting Team that supported clients with their Oracle contracts and licensing problems. Stephen is the co-founder and Chief Operating Officer of Palisade Compliance. His 25+ years experience in leading technology, contracting and entrepreneurial ventures enables him to build a solid foundation for Palisade expert services to our Clients worldwide. While at Oracle, Stephen was the Vice President responsible for over 300 contracts and business practices staff across Oracle’s Europe, Middle East, and Africa division. He also led a global effort to reinvent Oracle’s business processes, with the goal of making them more transparent while improving ease-of-doing-business for Oracle customers. Prior to Oracle, Stephen led sales support organizations for Dell. He pioneered the global delivery of legal processes (contract negotiation and analysis) for companies like IBM, HP, Microsoft, and Marathon. He is a former Advisory Board member for the International Association for Contract and Commercial Management (IACCM) and speaker at National Contract Management Association conferences. Stephen started his career in the early 1990s as a U.S. Federal Contracting officer, during which he led negotiations with Nobel laureates and successfully opened the former Soviet Union to US Federal contracts for scientific research. At Palisade, Stephen is responsible for service delivery, business operations, and the infrastructure needed to deliver superior quality of advisory and technical analysis to our Clients around the world. Stephen is a published author, game designer, and has interests ranging from history, map collecting, industrial archaeology, space commercialization, boating and bicycle touring. He lives on the Space Coast of Florida. Craig is the CEO and founder of Palisade Compliance. Founded in 2011, Palisade Compliance is now the leading independent provider of Oracle licensing, contracting, audit defense, and cost reduction services. 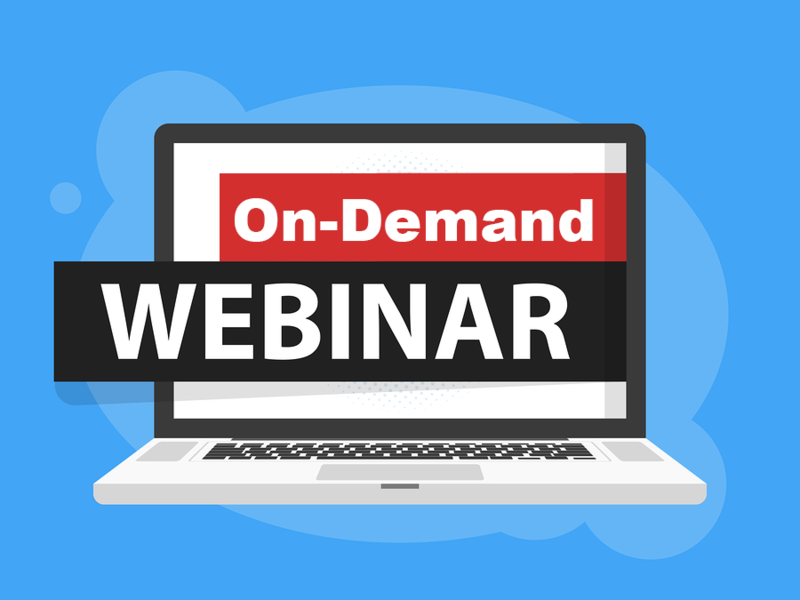 Palisade Compliance enables businesses to reduce their Oracle costs, stay in compliance, and take back control of their Oracle business relationship. Before founding Palisade, Craig worked at Oracle for over 15 years. Starting as a contract specialist drafting database license contracts, Craig worked his way up the organization until he was Oracle’s Global Vice President of Contracts, Business Practices, and Migrations. 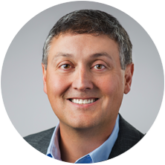 In addition to his Global VP role, Craig was also the Global Process Owner for Oracle’s customer audit teams (LMS), a member of Oracle’s CIO advisory board, and Oracle’s representative on the Oracle User Group’s contract and licensing advisory board. In addition to his work in the software industry, Craig is a thought leader in the areas of contract administration, negotiations, outsourcing, business process reengineering, and contract process automation. He has been an advisor to companies across the globe, helping them optimize and streamline their contracting policies, practices, and tools. Craig has been a featured speaker at conferences for groups such as the International Association for Contract and Commercial Management (IACCM), where he once held a seat on the board of directors, the International Business Software Managers Association (IBSMA), and the ITAM Review. Finally, in addition to his work in the Oracle and contracting space, Craig is an active member of his community. He is a board member of the non-profit group, Courage 2 Connect NJ. Finally, he is a volunteer in his local Meals On Wheels chapter, organizing and delivering meals to those who need assistance. At Palisade, Mary Beth serves as a leader on highly complex or long-duration engagements, overseeing data collection, client support and connecting Client questions to the right Palisade subject matter expert(s). Prior to Palisade, Mary Beth’s experience included higher education executive support matching new doctors to initial roles. Expertise: Project leadership, Palisade delivery models. Steve comes to Palisade Compliance with 13 years of varied Oracle experience in both Europe and the USA. He was responsible for leading the Oracle license and business practices teams in the UK, Ireland, Israel, Middle East and Africa, in addition Steve developed and led the Oracle resell program that enabled partners to resell Oracle Advanced Customer Support Services. At Palisade, Steve’s experience leading complex teams, building new partnership programs and understanding of Oracle’s business practices, position him to blend Client support and operations tasks across Palisade EMEA. Dan is a highly-knowledgeable sales/marketing professional with over 30 years experience across the Oracle partner ecosystem. In various roles at Oracle partners (HP, Sun) Dan worked with negotiating across virtually all aspects of IT technology. His experience includes hardware, enterprise software and services sales to both large multinational accounts as well as startup and mid-market accounts. Diverse background in both direct and indirect channels. Creative, out of the box thinker with strong business, analytical and rapport building skills. Dan is responsible for client development for Palisade Compliance including all partner relationships and direct sales. At Oracle LMS managed the Global Program Development and Analysis Team for several Technology, ERP, and CRM product lines. Also, served as Principal Consultant in charge of managing engagements for Oracle’s strategic accounts. At Palisade, leads some of our most complex Client engagements (including the MARS litigation support) while also managing the analysis and development team helping Palisade keep pace with Oracle’s changing audit models. Expertise: Oracle applications (such as Siebel, JDE, EBS, Primavera), Oracle database (includes database options), and litigation analytical support. While at Intuit James provided database technology leadership including over 50 database administrators, engineers and architects, creating a database community that increased collaboration and innovation in the database space within Intuit including Oracle, MySQL, SQL Server, Informix, NoSQL (Cassandra, HBase) and both internal/external cloud (Amazon AWS). At Palisade, James is responsible for analysis across Oracle technology products with data from Oracle, Palisade and third-party data provided by Clients. He works with the Advisory team to identify compliance issues and savings opportunities for Clients. James is also responsible for Palisade IT infrastructure projects and Amazon AWS. Expertise: Database management, Analysis of Oracle Technology products (database, packs, options). At Oracle LMS, led the Program Development team that developed audit tools and processes for Oracle Technology products. Also led audit teams focused on Oracle’s largest customers. At Palisade, Max is the architect over our delivery process for every Client. He leads most of our Fortune 50 Client engagements personally, and serves as the lead advisor on major audit and ULA optimization engagements. Expertise: Database, Audit Defense Strategy, ULA Negotiations. At Oracle, Alex was an LMS Principal Consultant, solely responsible for audits of Oracle customers across the Caribbean, Central America and Northern South America. At Palisade, Alex delivers advisory services to clients across the Americas. His combination of Legal and License background enable him to interface well with client in-house and outside counsel on Oracle matters. Expertise: Oracle contracts and licensing policies, multi-country license structures. At Oracle, Sorin was the leader of a team developing analytical models and tools across the Oracle Applications and Database product lines. At Palisade, Sorin leads the development and evolution of Palisade’s proprietary analysis tools, serves as the lead software developer on internal production support applications. Expertise: Oracle EBS products, software development, Java and frameworks. At Oracle LMS, created and managed the LMS Weblogic audit team, leading into all Middleware audits. Created and conducted training for LMS Consultants across a variety of DB, Application, and Middleware products. At Palisade, leads many of our Audit Intervention engagements, empowering Clients to manage the Oracle audit process and emerge with a fair deal. Matt is also responsible for developing new processes that accelerate or simplify the ‘Oracle model’ for license audit. Expertise: Database, Middleware, audit defense, process management.